Bailey Field is the home field for three of the four York County High Schools (Tabb Tigers, York Falcons and Grafton Clippers). 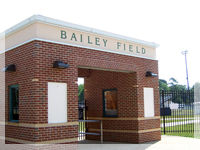 Families and supporters throughout York County frequently attend events held at Bailey Field. Each school year, more than 90 events are hosted at Bailey Field.